Community Question: Holden Commodore Motorsport Edition Or HSV GTSR W1? Decisions, decisions. If you were in the market for one of a handful of special, send-off edition Holden Commodores, which would it be? That’s what we’ve decided to tackle in today’s Community Question. Specifically, we chose the most attainable special edition variant and pitted it against the holy grail of final edition Commodores. Those would be the 2017 Holden Commodore Motorsport edition and the 2017 Holden Special Vehicles GTSR W1. Both start out as a regular Commodore, but the final product is far from the word regular. The Commodore Motorsport edition carries some cache with it as the final factory Holden Commodore to receive sporting cues. Specifically, Holden developed an engine and transmission cooling package especially for the Motorsport edition and fitted it with ‘floating disc’ front and rear cross-drilled rotors and Magnetic Ride Control. Meant to celebrate Commodore’s 460 Australian Touring Car Championship and V8 Supercars victories, the Motorsport edition features splashes of red throughout the exterior and the “Motorsport” branding can be seen embroidered on the seats and elsewhere throughout the car. But, the 2017 HSV GTSR W1 sure is tempting. While the Commodore Motorsport edition sticks with a 6.2-liter LS3 V8 engine, the GTSR W1 opts for a 6.2-liter supercharged LS9 V8 engine with 635 hp and 601 lb-ft of torque. Yes, it’s the same powerplant found in the beastly C6 Corvette ZR1. It also ditches Magnetic Ride Control for SupaShock fixed-rate suspension, stickier 265/35 front, 295/30 rear Pirelli P Zero Trofeo R tires and plenty of carbon fiber accents. As we stated in our debut story of the GTSR W1, the car is truly a crescendo of what HSV has done best for over 30 years of modifying locally-built Commodores. So, how about the rarity factor? 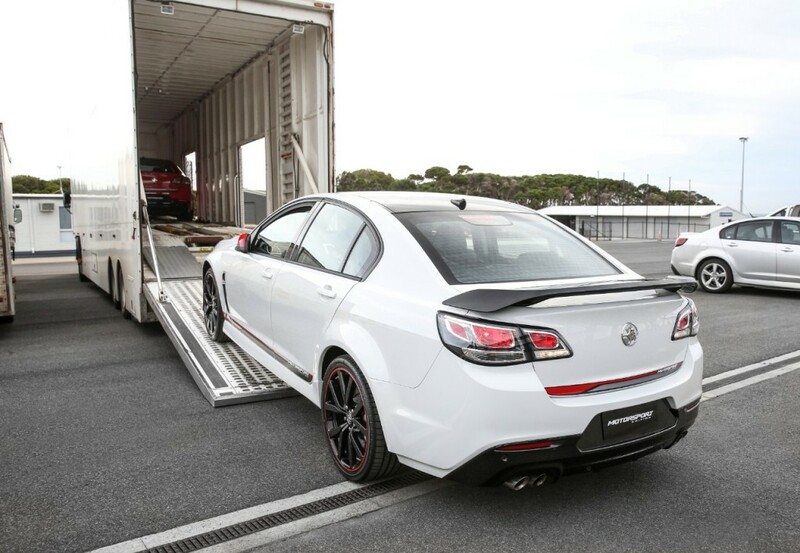 The Commodore Motorsport edition will be limited to just 1,200 units (if they aren’t already spoken for by now) while the GTSR W1 is limited to only 300 units. Naturally, the GTSR W1 is sold out already. So, if price was no barrier, which would it be? The gnarliest HSV to ever have been built, or the final, factory Commodore with special touches? Vote in our poll and talk to us down below. The GTSR W1 certainly is the coolest looking of the 2. Gives me an idea of the unmet potential of the Chevy SS. Car enthusiasts can’t get to0 much performance but it seems over the top to me as is the astronomical price tag. Yes, I get its limited production run is sold out but I’m thinking of a GM sports sedan for the masses. Again, what the SS could have been. I considered buying the defunct Pontiac G8 so I’m biased. I did own one the NZ released G8 s and would buy another if it weren’t for financial restraints. It’s a shame the majority of these were pre-sold to dealers. All they will do is hike the price even further given those low production numbers…. Merc C63S AMG here i come. Better idea – VL Director!